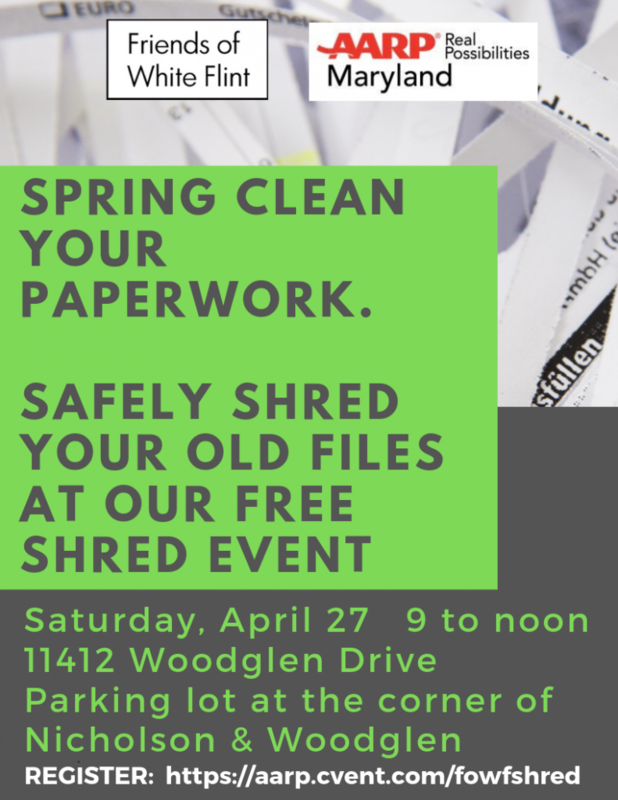 Bring your papers and files to our FREE SHRED EVENT on Saturday, April 27 from 9 am to noon. The shredding truck will be located in the parking lot at the corner of Woodglen and Nicholson. Sponsored by Friends of White Flint and AARP, this shred event is a great chance to keep yourself safe from fraud and fulfill your Marie Kondo aspirations. This entry was posted in FOWF Business and tagged Shred event. Bookmark the permalink.